Join us at The Great Estates Wine Experience Centre in Penticton on April 28, 2019, for a special food-and-wine pairing event. We'll be showcasing five BC sparkling wines and pair them with five uniquely BC bites. This Experience will demonstrate the versatility of sparkling wine and the ability to pair it with beautiful, local food. Some people are intimidated by the prospect of pairing food with sparkling wine. Often, they think sparkling wine needs to be served on its own. And while it is a wonderful wine to serve without food, it really does pair well with food too. Our wine educator will walk you through the art of pairing the fastest growing wine category in the business. 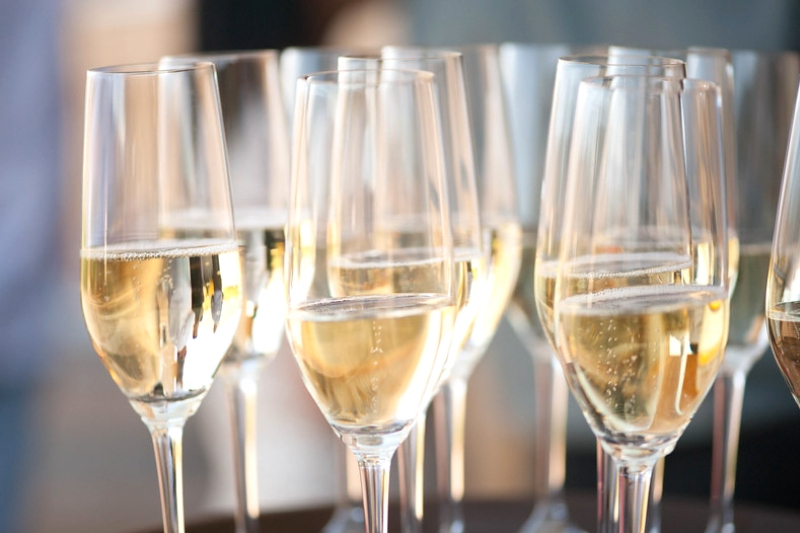 Let your palate experience firsthand what the world of sparkling wine has offer. Space is limited to 12 guests so be sure to book early! 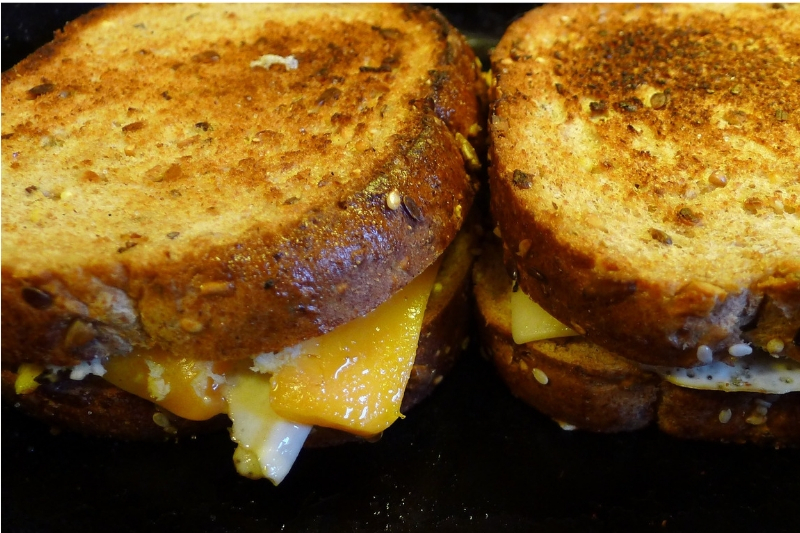 Grilled cheese is one of those meals that everyone loved as a kid. And then, we grew up and our tastes became a bit more sophisticated. Perhaps it was because we discovered the joy of wine and cheese pairings. Good news, you don’t have to leave your love of grilled cheese in your childhood. We’ve gathered some elevated grilled cheese recipes and found the perfect wines to pair them with. This is close to what you remember but without peeling the plastic wrapper off the cheese. Instead, select an aged white Cheddar and add some Brie. If you want melty, this is the grilled cheese for you. We suggest a whole wheat bread or the classic sourdough. We have two ways to go green with your grilled cheese. You can sandwich some arugula between two slices of mild Cheddar or, you can line the inside of your bread with pesto. If you really want to go all the way with this idea, you could do both! We love this one done on seedy bread. The Inniskillin Reserve Fume Blanc is lovely with this sandwich as is the Jackson-Triggs Sauvignon Blanc and the Nk’Mip Cellar White Meritage. This sandwich is definitely not for little kid tastebuds! We’re going spicy with this one. The star of this sandwich is the Pepperjack cheese but the nuanced heat comes from a smear of jalapeno pepper jelly on the insides of each slice of bread. If you want to take the heat up a notch, add banana peppers and serve with sriracha mayo. If you often look at your grilled cheese and think, ‘I need more cheese’ then this is the sandwich for you. We don’t just double the cheese, we triple it! Layer on some Mozzarella, Gruyere, and sharp white Cheddar. If you shred the cheeses, you’ll find they blend together a bit more but you can layer slices too. Just make sure you pick a thickly sliced bread for this big boy. Here’s a grilled cheese for sharing with someone you love! We’re layering cream cheese (a healthy smear), dark chocolate (you can use chocolate chips or thin slices of a bar), and sliced strawberries. Choose any bread you like with this one because it’s really about what’s in the middle. It’s so decadent and delicious! You love wine. You have friends that love wine. So, why not have them over for a wine and cheese party with a twist? The twist is, they’ll be tasting the wine blind. No need for blindfolds. The wine will be wearing the disguise. Why would you want to do a blind wine tasting? For the same reason that judges at wine competitions do. Not knowing the wine forces you to really consider what you’re tasting. It eliminates any preconceptions you might have about a certain brand or varietal. Plus, it’s a great spark for a lively conversation and isn’t that what parties are all about? Here is how you host a blind wine-tasting night. Plan on having 8 to 12 guests attend. This will give you 8 to 12 bottles of wine to try. Have each guest bring a bottle of wine from any wine growing region in the world. Set a limit on the bottle price so the wines have a level playing field. 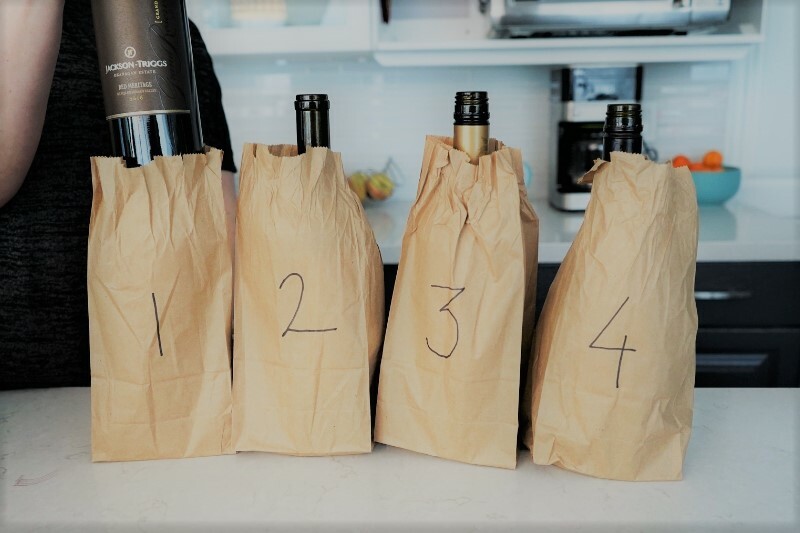 When your guests arrive, make sure that their bottles of wine are brown bagged. You don’t want to be able to see the label which will give away the varietal and the country of origin. Hand your guest a glass of sparkling wine. It’s always a nice welcome but it will also help to open up and rejuvenate the guest’s palate before the cheese and wine tasting begins. Have a sharpie or marker by the front door. When you receive the bottle, put a number on the brown bag. It’s best if the guest doesn’t see the number or they might have an advantage. Remove the cork too, as it might contain a clue. Once everyone has arrived, put the bagged bottles on a table where all guests will have accessibility to them. Make sure there’s room for a cheese board as well as an assortment of baguette, crackers, and crostinis. You might also want to add a charcuterie plate to the table to make more of a meal out of the event. For the cheese board, he suggests including an assortment of cheese from around the world. Ensure that they reflect hard cheeses, soft cheeses, mild and sharp cheeses, and smoked cheeses (each being expressive of its own style and taste profile). 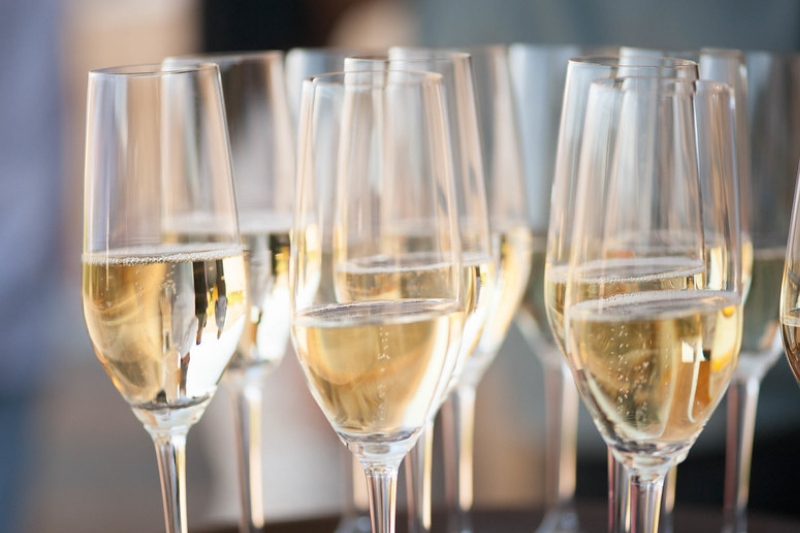 Once all of your guests have arrived and enjoyed a glass of sparkling, it’s time to get the party started. Provide a scorecard that lists the wines as # 1 through however many are to be tasted. Everyone tastes the same wine at the same time, starting with #1. Guest can discuss the wine and then make notes on what they liked, which cheese it paired best with, and eventually select their favourite. Remind your guests that there are no right or wrong impressions - they should each be true to their own preference and palate. The evening wraps up when all of the wines have been tried and scored. Then, the wines can be removed from their paper bags. Everyone will find out which wine was theirs and how their wine was scored by the group. It’s fun to keep it light and casual but you could also ‘make things interesting’ with a wager. Here’s what you might try - the person whose wine scores the least amount of points is obligated to host (and cater) the next cheese and wine party! This extra wager ensures that people pick the wine they are going to champion very carefully. Plus, it means that, in addition to everyone having a great evening enjoying a variety of wines delicious cheese, they also get to look forward to the next blind wine-tasting party. You and your friends can definitely make a habit of this! Just Kidding! Happy April Fool's Day! Now - let's celebrate April Fool's Day with some wine. Because you clicked through to this secret page - you get a wine tasting on the house. Stop by any one of our wineries or the Wine Experience Centre in Penticton before April 15th and we'll waive the wine tasting fee. Just show us this secret page on your phone. Want to bring some friends along? Share the original social media post and get them to click through to here too. p.s. If you clicked this from a friend's post - they want you to join them on a wine tour! The pinot noir grape originates from the Burgundy region of France but it thrives in the South Okanagan. We asked three of our winemakers to share their approach to pinot noir. We start our exploration with Derek Kontkanen, winemaker for Inniskillin Okanagan Estate Winery. He shares the Dark Horse Pinot Noir with us. This wine comes from grapes grown on the Golden Mile Bench - British Columbia's first sub-appellation. As Derek explains, the wine has a clear sense of terroir. Next up is the Qwam Qwmt Pinot Noir from Nk'Mip Cellars. Senior winemaker, Randy Picton describes this wine and explains how it represents excellence in wine. Plus, he offers his favourite pairing for this wine. It'll definitely make you want to visit the Nk'Mip patio restaurant! Finally, we hear from David Saysomsack the winemaker at See Ya Later Ranch. His Legacy Pinot Noir is exceptional because, as he explains it, it's made with the 'best of the best'. If you're looking for a Pinot Noir that breaks the mould, this is the wine to try. Learn more about all three wines in this video. These Pinot Noirs show how much diversity you can find in a varietal within a specific geographic region. But, why take our word for it? Make your next wine tour an exploration of the amazing Pinot Noirs of the South Okanagan. Start at See Ya Later Ranch in Okanagan Falls, make your way to Inniskillin Estate Winery in Oliver, and end your tour at Nk'Mip Cellars with a beautiful view of the Osoyoos. Or, try them all in one stop at the Great Estates Wine Experience Centre in Penticton. We're happy to answer any questions you have and we'd love to see pictures from your Pinot Noir Wine Tour! Connect with us on Facebook, Instagram, or Twitter! What Happened in the Vineyard this Winter? A lot of people think that there isn't much to do while the vines sleep under their blanket of winter snow. This couldn't be further from the truth. Winter is an important and busy time in the vineyard. It's the time when have to get the vines in perfect condition to produce beautiful fruit. 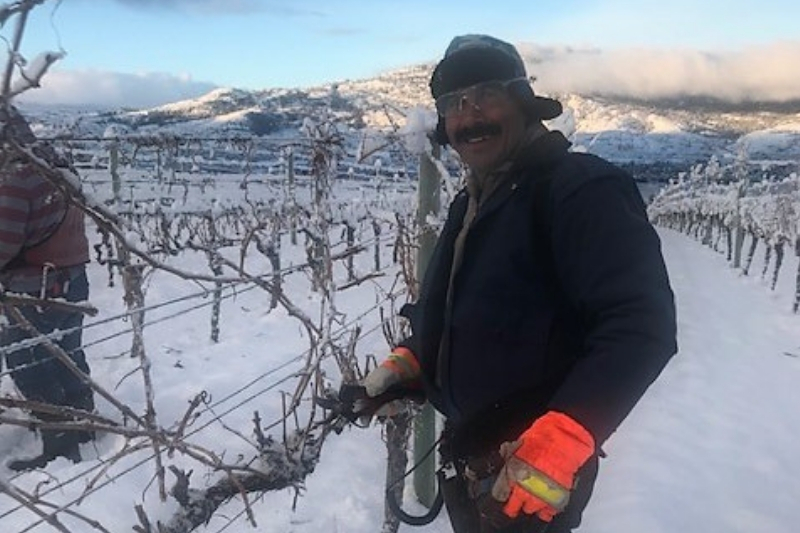 To get a better sense of what that entails and to find out what else is going on in the vineyard right now, we connected with Troy Osborne, Director of Viticulture, Great Estates Okanagan. What's happening in the vineyards right now? Pruning is the start of our season and is by far our most time-consuming task. We started on January 8th and two months later, 70% of the vines are pruned and canes are ready to be tied to the fruiting wire. Tying will start once pruning is complete and the sap starts to flow. Sap flow makes the canes more pliable and easier to manipulate for tying minimizing damage to the fruiting wood. Tying usually begins mid-March and takes about 30 days. We are also making final preparations for our aggressive new planting plan. Our new blocks at See Ya Later Ranch will include new clones of Pinot Noir and Pinot Gris (blocks are located on the lowest bench of the vineyard, they are the first vines you will see on the left side as our you head up from Okanagan Falls to visit the wine shop). We are also planting a mix of Pinot Noir and Cabernet Franc that will add just under 30 additional acres on the Wolf Creek site and 12 acres of Riesling on the Whitetail vineyard location. The largest planting in one area will be on our Black Sage Vineyard site. Just under 50 acres of late-ripening reds will be planted on this premiere red vineyard location. 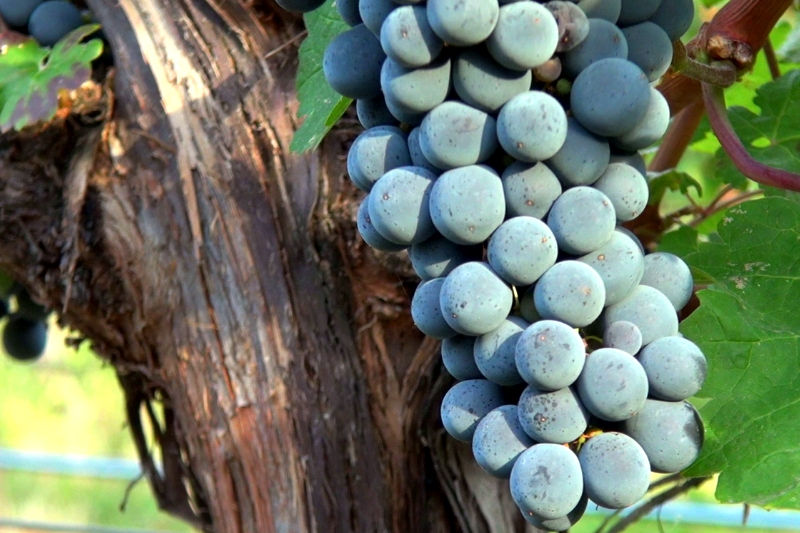 Varieties include multiple clones of Cabernet Franc, Cabernet Sauvignon, and Zinfandel. The first grapes for all of the vines planted in 2019 will be harvest in 2021, reaching full production in 2023. How was the Icewine harvest this year? We were very fortunate to have picked the majority of our Icewine grapes in early December when the fruit was still fresh and vibrant and free from rot and desiccation. Our Whitetail vineyard is an ideal location for Icewine as temperatures on this higher elevation vineyard average 4 degrees colder than the valley bottom. This gives us a huge advantage when valley temperatures are just on the edge of adequate for Icewine harvest. It's been a strange winter, what could the mild then cold winter mean for the vines? Late fall and early winter conditions are the most important for vine dormancy and fortunately, the conditions were very good at the end of 2018 allowing for very “winter hearty” vines. Buds are hearty to below -25C and these killing temperatures have not been reached to date and it is highly unlikely as we move into more spring-like conditions in the coming weeks. As spring approaches, what will you be doing or looking out for in the vineyards? We are just finishing our bud assessments, providing verification that fruiting buds are healthy and have made it through the winter in good shape allowing crop targets to be met. It all looks great. Other than completing pruning, tying, and planting preparations, we are busy training our team members on some of the more technical tasks within the vineyard. In particular, our vineyard monitors and our GIS (Geographic Information System). Our GIS gives us a real-time view of what's happening across all of our locations. This allows for the best decisions to be made. This critical information ensures we maintain the delicate balance between obtaining the highest standards of fruit quality and vineyard sustainability within. Thanks for sharing that with us, Troy! Now that you know how important the winter season is for the vineyards' health, we hope you'll drop by soon and visit. You might be surprised by how beautiful our winter vineyards are. Mention the term ‘destination wedding’ and chances are images of beaches and palm trees pop up. But, that’s all changing. Couples today are looking to keep their destination weddings a little closer to home and the Okanagan is becoming a real hot spot. 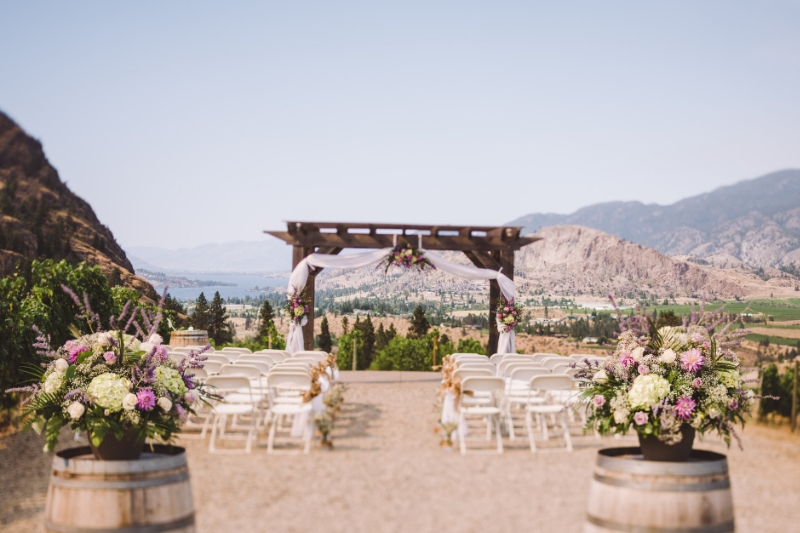 We’ll look at this new trend, explore what it means for couples, and how they can plan an Okanagan vineyard wedding with ease. Why is the Okanagan so Popular for Weddings? Monti Samuel is the co-owner of Coco Events and Weddings. 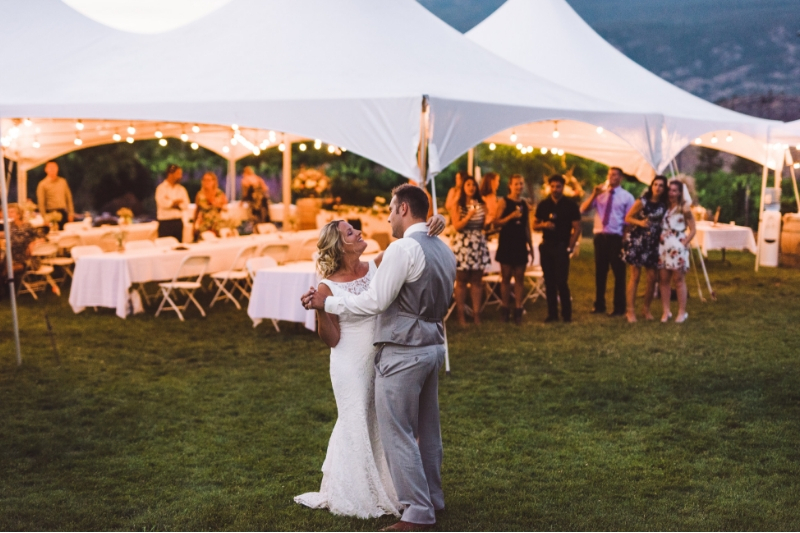 She loves to bring couples to the Okanagan for their dream wedding. She says we can thank the exchange rate for the recent interest in Okanagan vineyard weddings. But it’s not just because of the economics. The Okanagan offers couples the whole package as a destination. Monti points out that there’s a lot to keep the bridal party and guests happy before and after the big day. Guests can easily make a long weekend or a week out of visiting the beaches, dining, trying out a few adventures (like zip-lining or race car driving), enjoying the spa, and wine touring (of course!). So, how do you pull off the perfect winery wedding when you’re hundreds of kilometres away? Monti’s response should come as no surprise, “Hire a planner.” She’s not being smug. The truth is, most destination weddings require a person on the ground who’s familiar with all of the venues, the caterers, and the logistics. Unless the couple wants to take the time to visit the Okanagan in advance and do the leg work themselves, hiring a planner is a pretty smart way to go. But, unlike other destination weddings, there is still a lot of room to personalize the day and make it exactly the way you want. Monti says each couple has a vision (usually) and that helps her find the perfect location for them. She does have her favourites, though. See Ya Later Ranch really does give couples a lot of options on location but the other thing that sets See Ya Later apart is their vast wine portfolio. Having a large wine portfolio to choose from is particularly valuable to couples who want to give their guests a really special dining experience that includes wine pairings. Otherwise, when it comes to picking a single wine for dinner, Monti suggests that couples pick a middle of the road red and white for the dinner - a people pleaser. Wine experts at See Ya Later work directly with the couple on wine selection. One of the best things about having a wedding at a winery is that the guests have the opportunity to experience a real variety of wines. “Guests love it. If you bring guests to a winery where the wine is fabulous, like See Ya Later, even the guests are going to go home with bottles of wine,” says Monti. But, not everyone is a wine drinker and many couples envision also having a cocktail bar. What many people don’t know is that a lot of wineries aren’t licensed for that. Luckily, See Ya Later Ranch is! So, the martini crowd can easily mingle with the vino lovers. Beverage licenses are just one of the little details that couples have to figure out. More importantly, they have to know which questions to ask when it comes to planning their big day. They might have this perfect picture in their minds but it’s all of the little details that add up to create that picture. Some couples enjoy figuring out these details and, when it comes to a destination wedding, sometimes having a ‘partial planner’ is all they need. This is someone who will join the couple in the last month or so to make sure all of the T’s are crossed and the I’s dotted. It helps to take the pressure off the couple during an already stressful time. These planners coordinate with the winery so that the couple can relax and enjoy the day. See Ya Later Ranch loves to host weddings and has comprehensive packages to choose from or is happy to create custom options. Whether the bride and groom dream of saying ‘I Do’ in front of a scenic valley vista, dine in the vineyard, or dance barefoot on the lawn, every detail will be taken care of. Especially with the help of planners like Monti at Coco Events and Weddings. See Ya Later Ranch is honoured to be one of Coco’s preferred venues. Jackson-Triggs and Inniskillin Okanagan Estate Wineries (in Oliver, BC) are offering something special during the month of March - brunch! But, this isn't your typical eggs-and-bacon kind of brunch. It's creative food bites paired perfectly with wines from the two wineries' vast portfolio. You'll be guided through the food and wine experience by our host who will help you deepen your understanding of the pairing. As part of an intimate group of up to 12 food and wine enthusiasts, you'll enjoy 4 - 5 brunch bites each served with a carefully selected wine that is guaranteed to elevate the food. The menu includes sophisticated spins on classics like smoked salmon and cream cheese on a mini-bagel drizzled with capers and grapefruit crema. And, pancakes like you've never had them before; topped with spicy caramelized apples and icewine maple syrup. It also has unique pairings like the seafood frittata bite paired with Dark Horse Vineyard Chardonnay, and a Cornflake crusted chicken served with blackberry aioli and a glass of Inniskillin Reserve Merlot. But the one everyone is going to be talking about is the surprising use of donuts in a dish paired with the Sunrock Vineyards Illumina! This event is not only tasty, but it's also educational. You'll learn why we pair certain wines with specific food profiles so that you can take that knowledge home and host a to-die-for brunch of your own. We hope you'll join us in Oliver at the winery for this exceptional food and wine experience. These brunch events are only happening on Saturdays and Sundays in March 2019. The first event is on March 9th and the last one is on March 31st. Space is limited to 12 diners per day. Avoid disappointment and book now. How does certain food earn the label of ‘romantic’? For foods like chocolate or oysters, it might be the promised aphrodisiac qualities. Fruits like strawberries might make the list because they’re juicy and sweet. But, for a lot of people, a meal is romantic when you can share it. And there is no better example of share-worthy food than fondue. You’ve got that big pot of melted cheese in the middle where you and your partner will slowly dip nibbles of food. See, even describing it sounds romantic. 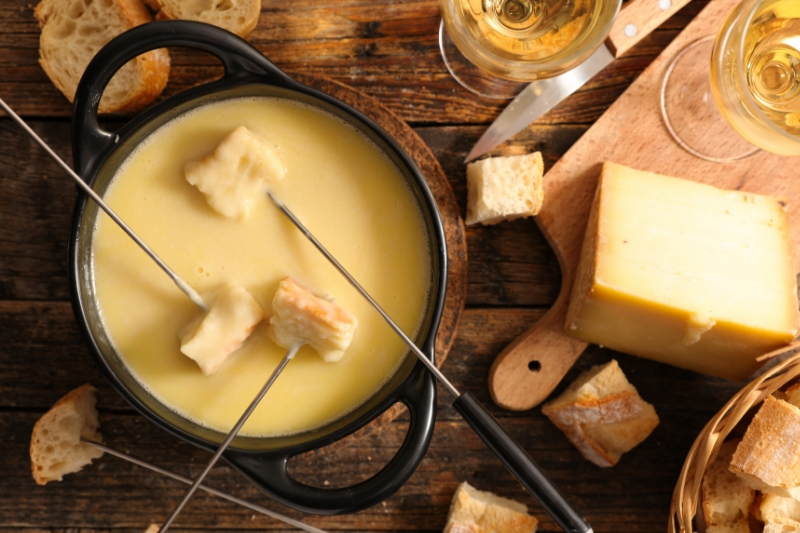 Plus, cheese fondue just begs to be paired with wine. We can all agree that wine is the most romantic beverage, right? So, why aren’t more couples dipping their way to romance on Valentine’s Day (or any other date night)? It might be that the idea of making a cheese fondue feels intimidating. It’s actually a lot easier than you might think. Great Estates Okanagan Chef, Ben Overland, shares his recipe and the simple steps to a perfect fondue - the romance part is up to you. Begin by preparing your accompaniments (aka your dippers!). 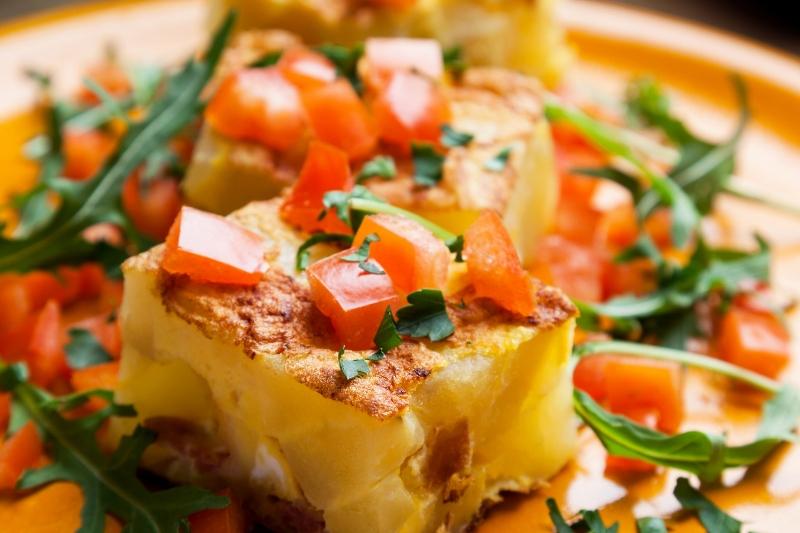 Choose bite-sized foods you love that go well with melted cheese. For example, cooked cheese tortellini, cubed sourdough bread, sliced Granny Smith apples, cooked sausage coil (chopped), cherry tomatoes, blanched broccoli and cauliflower, and boiled baby potatoes. In a bowl, combine cheeses and flour and mix well with your hands. In a pot, bring wine to a boil and add cheese/flour mixture. Reduce heat to medium and stir until cheese is melted and smooth. If the fondue is too thin, make a slurry using 1 Tbsp of cornstarch and 1 cup of cold water. Whisk well so there are no lumps then slowly stir the slurry into the hot liquid. Only add a little bit at a time until desired thickness is reached. It will thicken up quickly. Transfer your liquid cheese to your fondue pot and heat according to the instructions. Pro Tip: When you finish with the fondue, the cheese at the very bottom of the pot will have cooked and turned into a wonderful, crispy piece of swiss cheese. Make sure you eat it. It’s amazing! We recommend pairing this cheese fondue with a dry white wine like the Inniskillin Reserve Fume Blanc, Jackson-Triggs Grand Reserve Riesling, or the Nk’Mip Cellars White Mer'r'iym. Love Shiraz? We created a video just for you. In this video, we explore three different and distinct red wines that all have the Shiraz grape varietal in common (which, by the way, is the same as the Syrah grape varietal). These wines are all distinctive and they are all delicious. We start by meeting Jason James, the winemaker for Black Sage Vineyard. He introduces us to the big and bold Black Sage Vineyard Shiraz. He walks us through his tasting notes for the wine, tells us what makes the wine so unique in the Okanagan, and even makes a pairing suggestion. But (spoiler alert), this wine is also great on its own. Next up in the video, we meet the winemaker from See Ya Later Ranch Winery, David Saysomsack. He tells us about Rover which is a blend that incorporates Shiraz and a somewhat surprising second varietal. He uses a very interesting technique in fermenting Rover, which he explains in the video. Plus, he gives us some tasting notes and pairing suggestions. Finally, we hear from Dave Carson, winemaker for SunRock Vineyards. His Shiraz is distinctive because of the unique terroir that it comes from, which Dave elaborates on further. He also offers some tasting notes and food pairing suggestions. 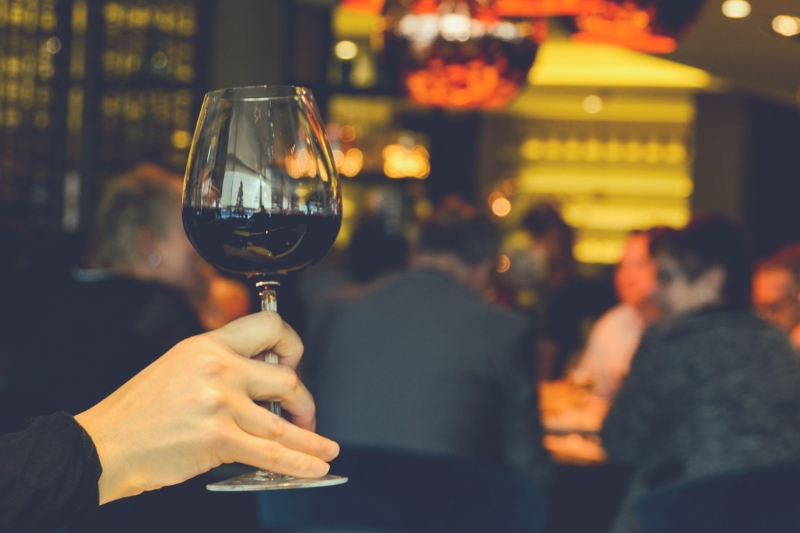 Find out why this wine definitely deserves an invitation to your next party! But, why choose just one? 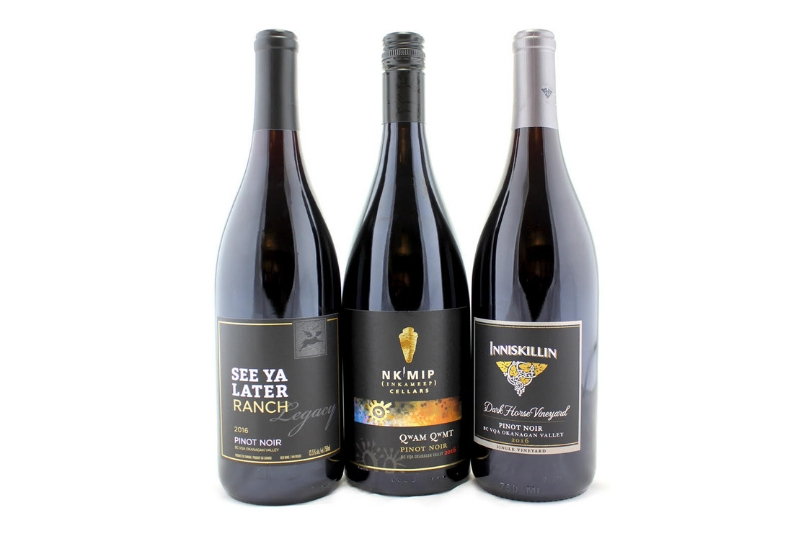 Try them all and discover why each of these three Shiraz options from the Okanagan deserves to be on the 'best of the Okanagan' list. Do you still have questions? Or, do you want to share your experience with these different Shiraz options from Great Estates Okanagan Wineries? Connect with us on Facebook, Instagram, or Twitter! Ready to give these wines a try? Shop now online.